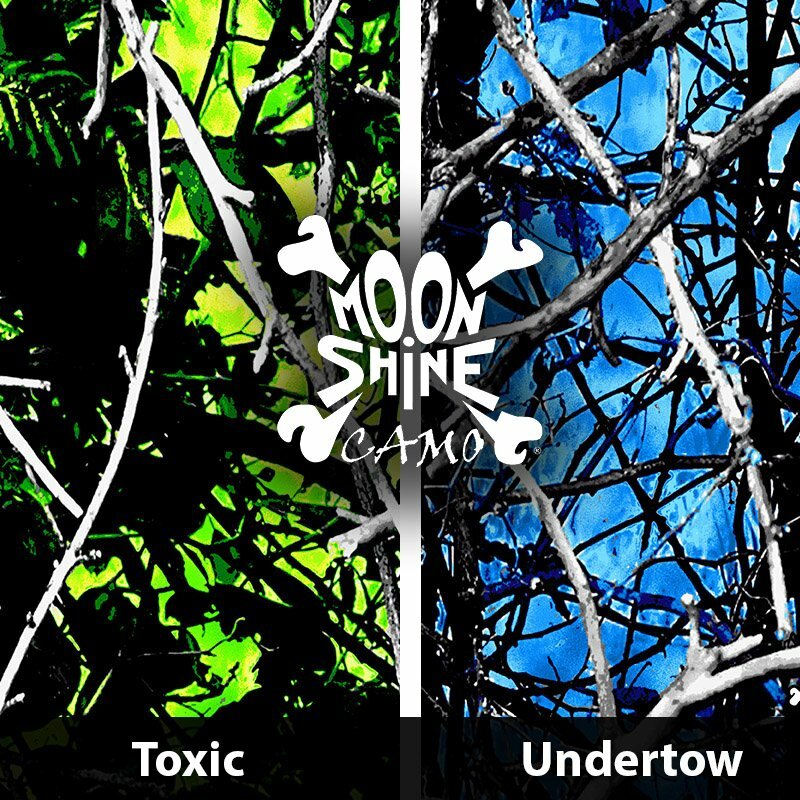 PRINCETON, FL – June 9, 2015 – TWN Industries Inc., the leading Water Transfer Printing supplier, announces the release of two new Moon Shine Camo® patterns: Toxic™ and Undertow™. These new patterns complement the existing Lifestyle Camo™ brand. 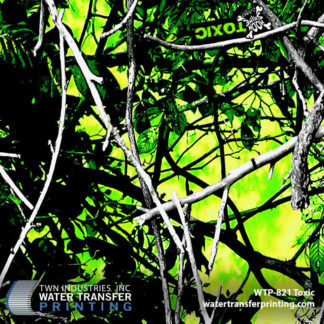 Toxic’s yellow and green neon glow is the first acidic camo of its kind. The graphics on this corrosive countryside design are so intense that you can almost hear the sizzle and bubble of the erosion eating the leaves and limbs. This look has never been associated with camouflage patterns, but it definitely lends itself to making a vibrant lifestyle statement. 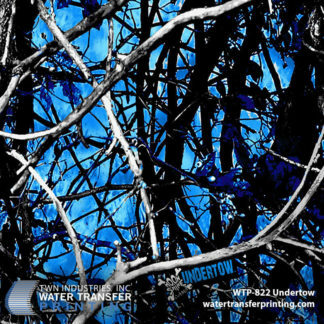 Undertow is an aquatic-themed camo. 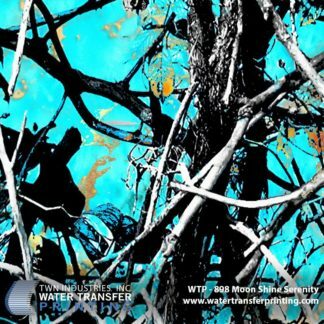 The flooded forest simulates the ocean floor as you look through tangled brush with curiosity of what nautical creatures hide in the deep blue waters beyond. The combination of wet and wild not only give this pattern an aquatic appeal, but also a bold blue lifestyle look. 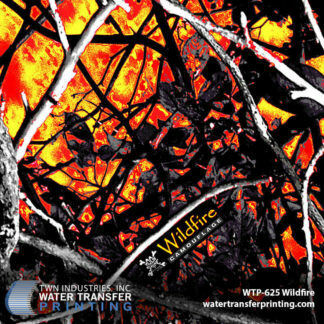 Toxic and Undertow water transfer printing film patterns are available exclusively through TWN Industries, Inc. Call now to pre-book your order and film requirement. Shipments will begin to go out the first week of July. 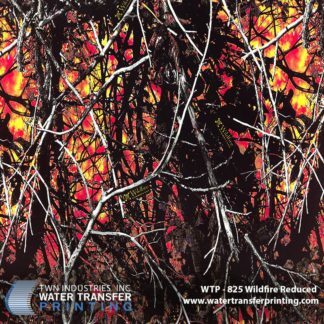 The part numbers are as follows: Toxic is WTP 821 and Undertow is WTP 822. To purchase film, or to find a TWN Certified Decorator who can decorate products for you, call 305-258-9622.